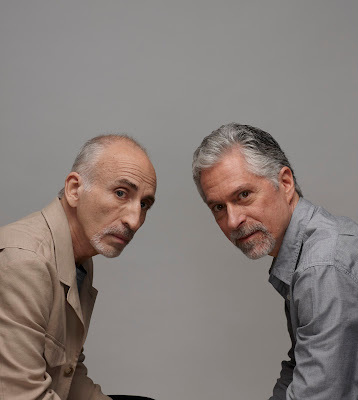 Barry Michels and Phil Stutz are two of the most sought-after psychotherapists in Los Angeles, particularly by creative professionals. They are also the authors of The Tools, a book that teaches you the techniques they use in their practice to help unlock creativity, decrease anxiety and to correct the negative patterns that interfere with your life. In this podcast, we discuss the relationship between the Shadow (Carl Jung's term for a subconscious part of your mind that contains your inner shame and other unconscious material) and creativity, plus the three immutable rules of dealing with a perpetually changing world. We also talk about their next book, dealing with Part X, or the inner enemy that tries to sabotage your growth and development. Paul Laffoley, one of our favorite artists here at Bottlerocketscience, has died today. He will be sorely missed. The visionary artist and luminary, Paul Laffoley, has died today after a long battle with congestive heart failure. He had an extraordinary grasp of multiple fields of knowledge compulsively pursing interests that often lead him into uncharted territory. His complex theoretical constructs were uniquely presented in highly detailed mandala-like canvases largely scaled to Fibonacci's golden ratio. While an active participant in numerous speculative organizations including his own Boston Visionary Cell since the early 70s, his work began to attract an increasing following in his late career with shows at the Palais de Tokyo (2009), Hamburger Bahnhoff (2011), Hayward Gallery, London, Henry Art Gallery, Seattle, and Yerba Buena Center for the Arts (2013). The first book on Laffoley's oeuvre was The Phenomenology of Revelation published by Kent Fine Art in 1989, followed by several subsequent publications beginning with his first retrospective organized by the Austin Museum of Art (1999). Forthcoming in March of 2016, the University of Chicago Press will be releasing the long awaited book entitled The Essential Paul Laffoley. He was a kind and generous giant, and he will be sorely missed by all of us. that is where they should be . . .
Thony Christie, historian of science and proprietor of the Renaissance Mathematicus and Whewell's Ghost stops by to talk about Galileo, Newton, the Copernican controversy, and why it was smart to believe that the Earth didn't move. The story of how we came to understand that the Earth was not the center of the Universe is one of the most fascinating stories in the whole of the history of science. The debate over Copernicus' heliocentric model lasted for centuries, and was carried out by mathematicians, theologians, philosophers and scientists. Observational evidence initially favored a geocentric model, and definitive proof did not appear until long after the first precise data (captured by Tycho Brahe and compiled by Kepler) had persuaded most scientists of their truth. Independent scholar Thony Christie takes us through the debate on this episode of Startup Geometry. [0.0.16] How did you get into the study of the History of Science? Eric Temple Bell Men of Mathematics. History of Mathematics and Logic: Church’s list of formal logicians, Boole, Jevons, and others. [0.3.50] Renaissance Mathematicus and Whewell’s Gazette/Whewell’s Ghost (Whewell pronounced “Hewell”). John Wilkins, historian of biology. [0.6.30] What was a “mathematicus”? Fields of study: astrology, astronomy, mathematics, cartography, design of engines of war, (sun)dialing, volumetrics. "DaVinci's Resume": Leonardo DaVinci once sent a letter describing his skills in some of these areas. [0.14.46] Christoff Clavius. The Galileo Affair. Heliocentricity. Cardinal Barberini. Who can interpret the Bible? Cardinal Bellarmine. The difference between proof and speculation. [0.27.00] Giordano Bruno. Miguel Serveto (Servetus). [0.28.14] Newton. Newton & alchemy. Newton & religion. Kepler. Prisca Theologia. [0.35.44] Interpreting Early Modern systems of thought. Lawrence Principe and William R Newman’s modern alchemical experiments. Phlogiston. Problems with turning lead into gold. (Not a problem for us, but requires a huge particle accelerator.) Roger Bacon. [0.44.23] Newton predicted the end of the world (not before 2060). Other predictions of the end of the world. Jehovah’s Witnesses. Millerites. [0.47.47] Discussion of the various Renaissance world systems or models of the universe. Why it’s obvious that the Earth doesn’t move. Tycho Brahe. Johannes Kepler. Gilbert, On the Magnet. How it was finally proved that the Earth does move. Chris Graney on star sizes, Setting Aside All Authority. Torricelli. [1.00.00] The Rudolphine Tables. Not proof, but Kepler’s system fits the data, so Kepler’s model is probably right. Heliometers and elliptical orbits. Bradley, 1725, finds elliptical movement of stars due to Earth’s movement. Christiaan Huygens. The Earth bulges at the Equator and is flattened at the poles. Later confirmed by stellar parallax, Bessel, 1838. [1.08.18] Book recommendations. Richard Westfall, Life of Isaac Newton. John Heilbron, Galileo. Chris Graney, Setting Aside All Authority. Eric Scerri, The Periodic Table. My recs: Deborah Harkness, The Jewel House. (she also rediscovered The Book of Soyga, which was part of John Dee’s library, and is a really good fiction writer.) Lost Enlightenment S. Frederick Starr.